Harsh breath after a few cups of coffee or a hearty meal can usually be remedied with a toothbrush or a piece of gum. But, what does it mean when strong breath becomes difficult or impossible to control? It could mean that it’s time to consult a St. Augustine FL dentist for help. Impacted Wisdom Teeth. If the wisdom teeth have become trapped in the far corners of the mouth, they become magnets for rotting food particles and plaque bacteria. The condition can be further aggravated if some or most of the wisdom tooth is covered by gum tissue. Dentists can tell you that there is no easy or effective way to clean these teeth, and the bad breath problem will likely persist until the wisdom teeth are removed. Cavities. Once bacteria invade a tooth and cause a cavity, the softened tooth structure will provide a feeding ground for germs. As the germs digest the food particles that enter the mouth, they will let off an acidic byproduct that further rots the teeth but also smells particularly awful. To stabilize the tooth and resolve the odor, the dentist will need to remove the decayed tooth structure and restore the damaged area with a dental filling. Poor Oral Hygiene. Inadequate flossing can lead to bad breath, but smelly breath can also pop up if you fail to brush your tongue. 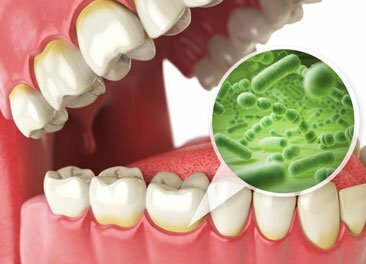 Beyond brushing and flossing, untreated gum disease is known for its distinct odor. Watch out for red, bleeding gums, or thick, white plaque along the gum line, as these are common indicators of a bad-smelling dental infection. Don’t use mints and gum to mask a serious dental issue. If your bad breath seems to be an ongoing issue, contact a St. Augustine dentist for an evaluation today. The Surprising Truth about Dental Deep Cleanings Dental Bonding or Porcelain Veneers?